Green Information Systems (IS) refers to the use of IS to achieve environmental objectives, whereas green Information Technology (IT) refers to the practice and study of using IT and computer resources in a more environmentally responsible and effective manner (Dedrick, 2010). Information Systems, computers and computing in general consume an immense amount of natural resources, the energy used to power them, and the problems that arise in the disposing of obsolete hardware. Mark O'Neill, the author of Green IT for Sustainable Business Practice defines green IT as, “a collection of strategic and tactical initiatives that directly reduces the carbon footprint of an organization's computing operation” (O'Neill, 2010). Issues of sustainability have started to become a significant topic of discussion in the information systems community. IT practitioners are focused more now than ever on reducing the direct impact that IT use has on the environment (Dedrick, 2010). Information Systems (IS) and Information Technology (IT) have changed societal behaviors drastically in the last few decades and, as such, have the conceivable backing to shift to a more sustainable society. “The role and contribution of IS to eco-sustainability has become the concern of many IS researchers” (Ijab & Molla, 2011). IS communities around the globe have begun to look seriously at the role IT can play in both creating and reducing environmental impacts. Much of the dialogue is focused on lessening the direct environmental impacts of Information Technology by making IT equipment more energy efficient (Dedrick, 2010). “These efforts can directly reduce IT costs, so there is a strong incentive for organizations to adopt them. Evidence from surveys confirms that IS organizations are responding to these incentives by adopting green practices” (Dedrick, 2010). 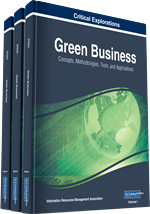 Many businesses are focused on implementing green business models. They have learned that implementing green IT solutions not only aid in meeting shareholder expectations but help to improve their organizations’ corporate image, all while offering cost saving benefits. While cost cutting is the largest impact and factor of implementing green IS practices in an organization, environmental stewardship follows closely behind. Many companies are adopting the mindset of introducing green Information Systems because “it is the right thing to do”. The Vice President of Information Technology at a large international investment firm demonstrated this outlook when he said, “Cost cutting is important to every organization, let’s be real, but [our] philosophy as an organization is that we live in this world and we want to be good neighbors. With our new investments, we are doing both” (“Green IT: Why,”). Over the recent decades, there has been a rising concern and various studies in the different ways that information systems have an impact on sustainability through the uses of various energy sources, types of transportation, ways of building and manufacturing for the current society. Advanced wind turbines are being transformed with various forms of sensors and controllers that enable the turbines to operate efficiently and safely in various wind speeds and weather conditions. A type of smart grid technology is being developed to allocate more energy more efficiently and effectively. Smart buildings use various sensors to adjust the surroundings from a distance such as temperature controls. Smart meters allow users to make changes to use of energy at various times. Having a smart car can improve air emissions as well as reducing the time and energy that is wasted in traffic jams. Taking a longer term, more dynamic view, researchers have framed the impacts of technology on the environment as primary, secondary and tertiary order effects.